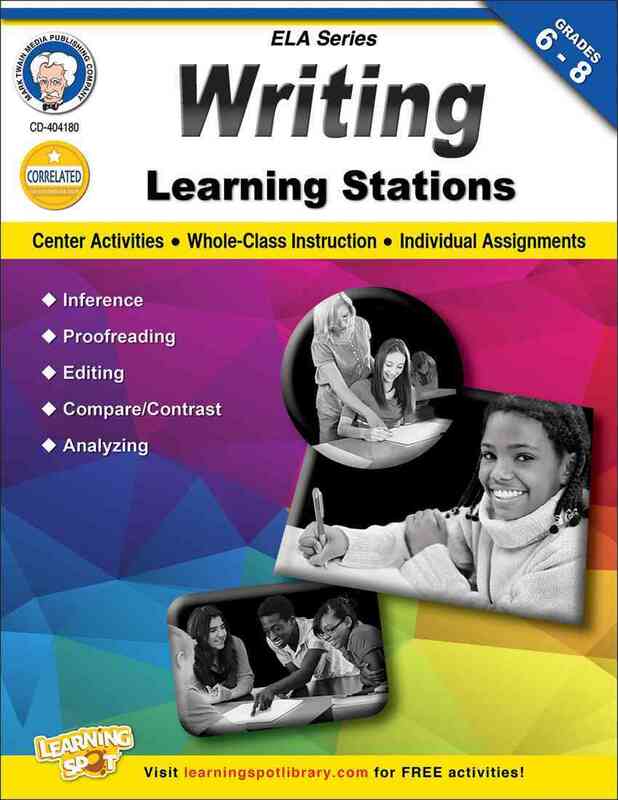 Annotation: Writing Learning Stations is perfect for center activities, whole class instruction, or individual assignments. Topics includes inference, proofreading, editing, compare and contrast and more! The Learning Stations series increases student achievement and provides opportunities for inquiry with a variety of learning stations. Aligned to Common Core State Standards, each of the activities included also support Listening, Speaking, and Media/Technology standards. Make learning fun today with Learning Stations!